‘Safety first’ should be a familiar mantra for all who work with primary learners. Making the most of educational technology and online tools in the primary ELT classroom brings considerable responsibility as regards the welfare of the learners. During English lessons for primary children, we are ‘in loco parentis’ and this role should never be taken lightly. Online safety may mean different things depending on the teaching and learning context, the country, the tools and devices being used and existing AUPs (Acceptable Use Policies) in place. An AUP could involve rules regarding the use of school equipment, appropriate sites to visit, privacy settings, acceptable use of mobile devices, non disclosure of personal information, respectful behaviour online, and what systems are in place if these rules are abused, for example, in the case of cyber bullying. In this blog post I’ll look at the, surprisingly, still controversial, issues of posting images of children’s faces online. My aim is to raise awareness, before going on to suggest ways to ensure safe practices are followed. Firstly though, a couple of general comments. To begin with, I’m referring here to ‘teaching’ situations, as opposed to that of parents / caregivers (hereafter referred to as care givers). For example, a care giver may decide it’s fine to post photos of their children on their social networking sites to share with family, friends and the world. However, as educators, I believe we need to understand and consider the far reaching implications of digital literacy and safety, and recognise our responsibility to uphold the rights of the children we teach. Secondly, the beliefs expressed are my own. They’re based on many years of using technology with children in my own primary classes, and contact with their care givers. They’re also based on discussions with other teachers, through the implementation of school projects, observations and training. So, let’s start bold, and contentiously. No photos or videos of children’s faces should go online. This issue first came up for me, many years ago, when a UK school came to Spain on an exchange trip, and they told us that for safety reasons, photos were not allowed. My initial thoughts were first, the world had gone safety mad, and second, how sad that we could no longer capture the experiences of the learners. However, in those days, social networks and similar blogging tools were in their infancy, and mobile phones a rarity. I’ve since been convinced of the importance of not posting children’s faces online, and would give the following main reasons. Adults would agree that it’s unacceptable to post personal information online, for example, our addresses. However, if you, as a teacher, or your institution posts a photo of a child on a social network, are you not saying this child can be found at this place? I’ve even seen language school posts such as ‘Pablo’s class, 5.30 Tuesday and Thursday, XYZ school’. Is this not tantamount to not only giving an address, but even the time the child is going to be there, or possibly be walking to and from the school? Let’s consider the main reason for putting children’s images online in a primary ELT context. As teachers we’re proud of our learners and the internet gives us a vehicle to show them off to the world, for example, by recording an end of term performance. But, what is the true purpose behind this? Surely, the videos could be shared with care givers within a closed, secure virtual environment? By posting on social networking sites we should consider whether the objective is actually just for marketing. 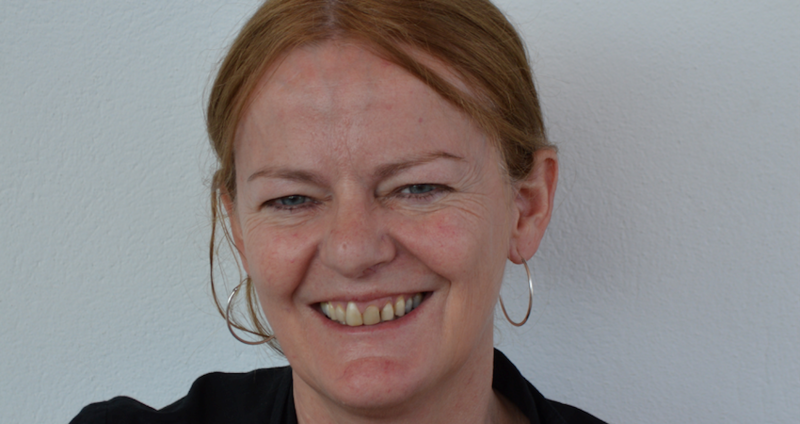 Are we selling our teaching, or institution at the price of children’s safety? Do we work for the education of children, or is their safety a price they are forced to pay to learn English? Whose right is it, anyway? I recently came across another example. A teacher posted a photo of a child in a class group on a social network site. The child was upset about how they looked. The care givers approached the school, asking them to remove the post. The school, somewhat reluctantly, finally agreed to do so, not without some considerable fuss and comments such as, ‘(name of child) looks fine’. My point is, surely, it’s up to the child to decide if they look fine, or not? Any photo online is a digital footprint, possibly left online for years to come. Yet, how often do children get the chance to make their own choices? Who actually makes these decisions? The teacher, the institution, a marketing or social network person, the care giver? Rather than what is convenient, we should instead uphold the right of each individual child to decide. Design lessons to raise the issues of online safety in general, and include the importance of the dangers of posting images online. Take in pixelated versions of faces in photos from magazines or online, and ask the children why this is done, to act as a springboard for discussion. Show them that in, or out of class, if they aren’t comfortable they should say no. Develop a class slogan. A colleague uses ‘No faces!’ and her class will tell anyone who tries to take photos, that this is the case. By emphasizing this, you’ll be encouraging the children to produce quality work that they can be proud of. You can take photos of the final products, and encourage the children to explain what’s happening in them. There are many smart board apps, which lend themselves to voice recording on top of visuals. Also, the work in progress is often more important than the final product. Once your learners are used to having photos without their faces, they learn to work in ways which enable you to capture the process, for example moving back so you can focus on their hands for arts and crafts projects. You can monitor, praising and discussing their work as you record. This can then be shared with care givers, giving them a powerful window as to what happens during a lesson. You can also try recording process work, filming only the backs of the children. Sometimes, the distraction of what’s happening in a video, can lead to wanting to concentrate more on the visuals than the clarity of the children’s pronunciation. By making the most of audio recording apps, and sharing these, the children can practise speaking clearly in English and re-recording, until satisfied, without the additional pressure of ‘performance’. Many projects I’ve worked on with primary learners have included audio, video, and a need for the learners to be present. 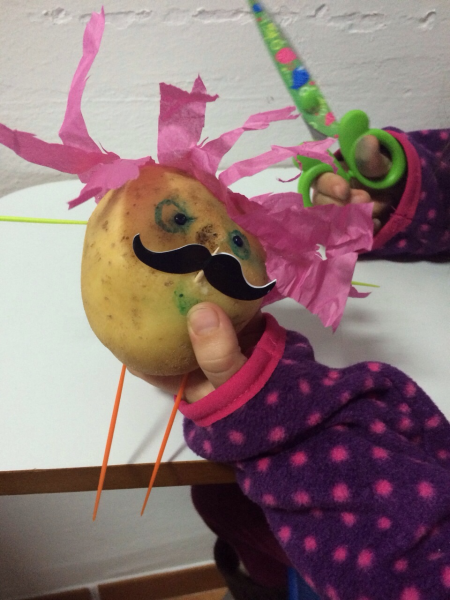 With lower primary, more teacher suggestions will be needed, but we’ve found upper primary children have been incredibly creative in finding ways to ‘appear’, and give themselves a sense of identity, without showing their faces. This includes using masks with their faces, identifying themselves with their shoes or even backs. Primary children often love dressing up, so you could take in, and encourage them to bring in, sunglasses, hats, wigs, and even rolled up paper for the children to disguise themselves. Despite the general ‘no faces’ rule, there may be special occasions, such as a video of a school play, when, if all the children are in agreement, we might want care givers to sign a permission form. I’ve heard some schools say that for convenience, care givers have already signed a general form allowing use of the images. For the reasons stated above, this is not addressing the real issue, and, is also insufficiently robust. Each occasion should be looked at on its own merit. So, when a really special project does come up that requires the need to see the children, then the effort required to collect permission slips, along with proper risk assessment of safety precautions, demonstrates how deserving the project is. An avatar is the graphic representation of a user. Some online tools may ask for a profile picture. 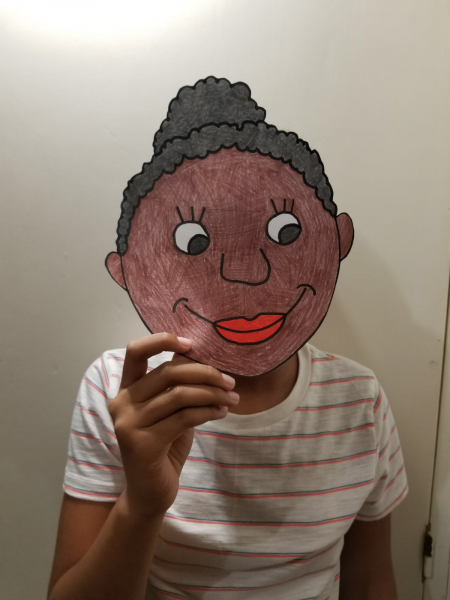 Show the children that they shouldn’t use a photo of their face, but can create one of their own, through drawing and taking a photo of their avatar, to then upload. Alternatively, you can make use of avatar tools on the web. Before using any photo online of a child’s face, stop and think. Write down your reasons to justify them to yourself, your institution, children’s care givers, and above all, and always, the child. Consider all the possible alternatives. I hope you will conclude that you shouldn’t post a child’s face online. Great advice from Jen and I really hope that this is the first of many blogs to come because with such a great wealth of experience in the classroom and teacher training, know she’s got a lot more to share. I’m not teaching at the moment but will be sharing this post with all of my YL teacher friends. It’s sensible, practical and, above all, common sense. Thanks Jen! Thanks so much, Kath. What a lovely thing to say. In fact, this post came about because I was considering setting up and curating a group blog with a group of colleagues to share our YL and teen IT projects. However, before embarking on any digital work, the safety aspects need to be considered. So I knew the first post needed to deal with these. This post was also originally going to look at other factors, too, but I feel so strongly about the issue of publishing children’s faces online, that I decided it would be more effective in isolation. Thanks for sharing, it’d be great if it made a difference. Really useful and pertinent advice from Jen. Some may think schools are too cautious, but the risks to vulnerable students are very real. Children who have been adopted, fostered or who, for safeguarding reasons, cannot have contact with a family member, need to be protected online. I think your point about the image belonging to the child is very true as well. The photo of the child dressed up as a farmyard animal with a silly face may be cute now, but not when they are older and it still remains online. Thanks, Hawys. Thanks also for your additional points about the particular circumstances some children may find themselves in. On a fb discussion about this a freind mentioned working with adults, who, for example, in situations of abuse, needed to unobtrusively opt out of the images. To do this discretely, adds yet further pressure on those who need to do so. As you say, though some feel schools are too cautious, a bigger picture needs to be considered.